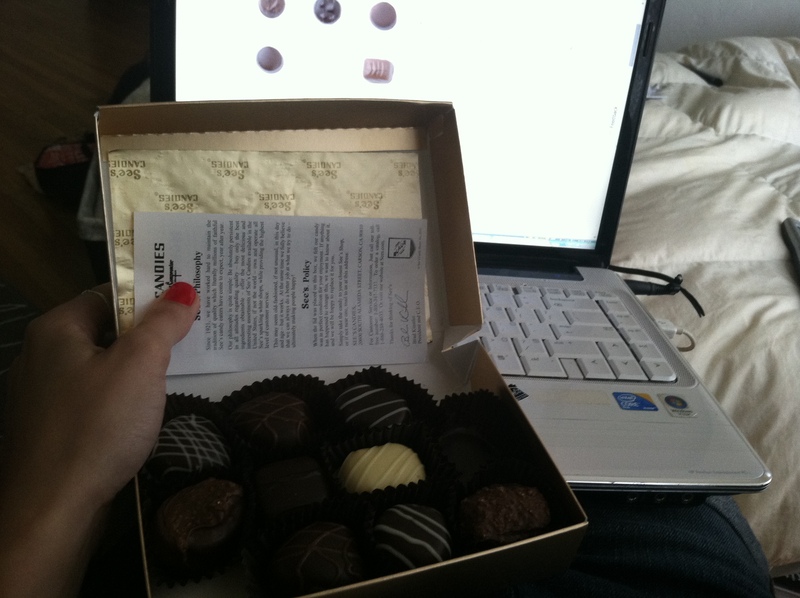 I must say, it’s really hard to multitask when you want to be 100% engrossed in all of the things you’re attending to. Do any of you ever experience this? I certainly do. It’s, unfortunately, the reason why it takes me at least three times longer than usually to finish whatever I’m writing. It’s because, in the meantime, I’m attempting to watch “Game of Thrones,” make tea, and clean my house . So far, the tv is paused and my hot water has yet to make it into the cup where the teabag is. Hey, I tried. I did, however, manage to crank out this week’s “Five Things,” so let’s hop to it! It’s official. I now own work swag. 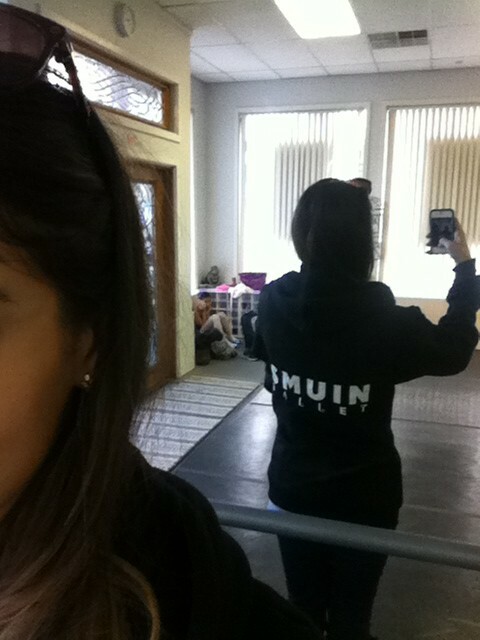 Not only do I love the company, but their hoodies are the most cozy things ever. I’ve been trying not to live in it on a daily basis. I was looking through some pictures from my hike up Mt. 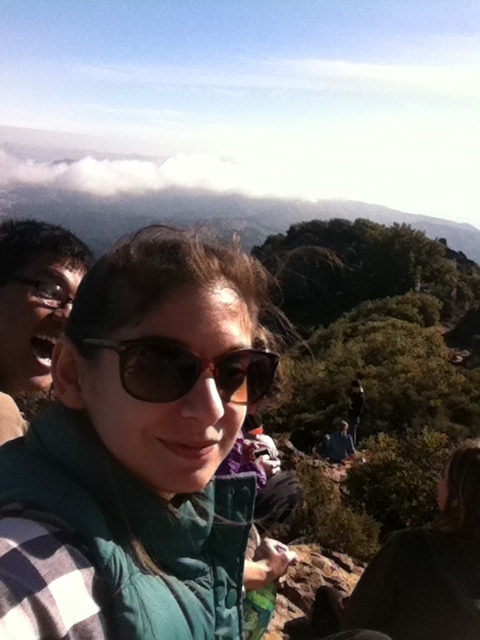 Tam the other day, and lo-and-behold, a photo-bomber! Hi Gary! I just had to share. My girlfriends and I had a mid-week dinner date at Chino SF the other day. They boast an interesting take on Chinese cuisine. 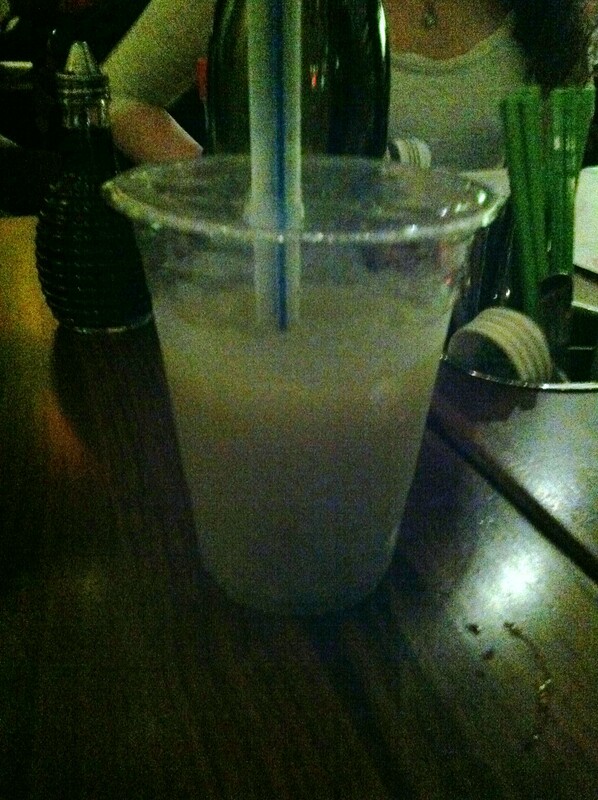 My favorite (although slightly gimmicky) thing was the boba cocktail. Quite refreshing, actually. Tiny cupcakes courtesy of my friend Sarah. 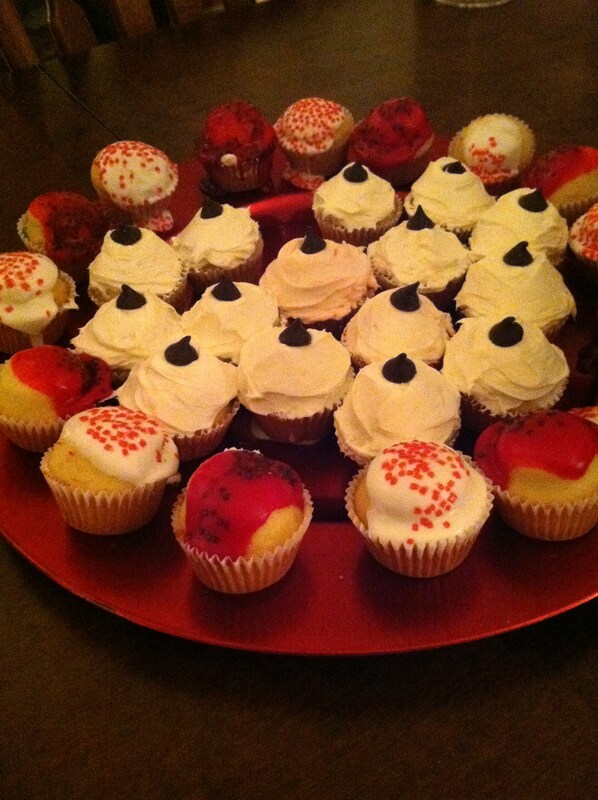 Cute and delicious, although I must say that the ones topped with chocolate chips seemed a tad inappropriate. It’s the infamous: Omg Literally Dead. A fabulous 30-something out there thought it would be poignant to spoof all those Instagram-abusers out there, overusing hashtags and all. The photo above was captioned: “Ugh, #Starbucks barista fails again! 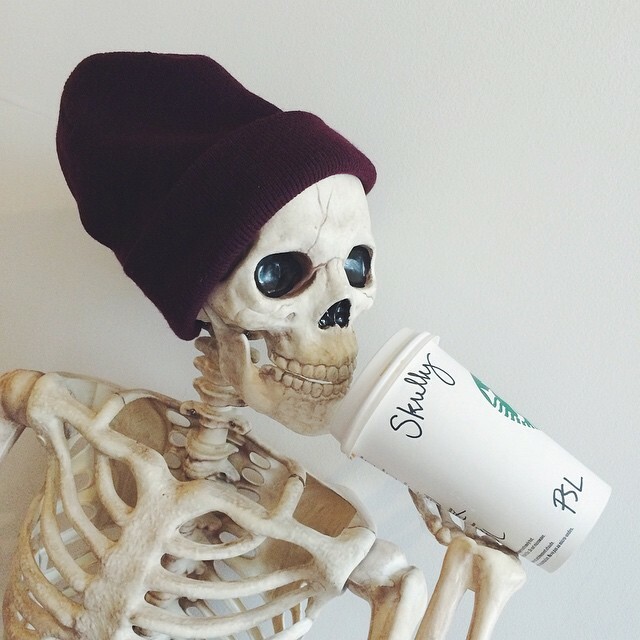 It’s Skellie, idiots.#starbucksfail #psl #whothehellisskully.” As you can see Skellie is, in fact, literally dead. So take that! It’s still Blogtober, but I’m going rogue today! 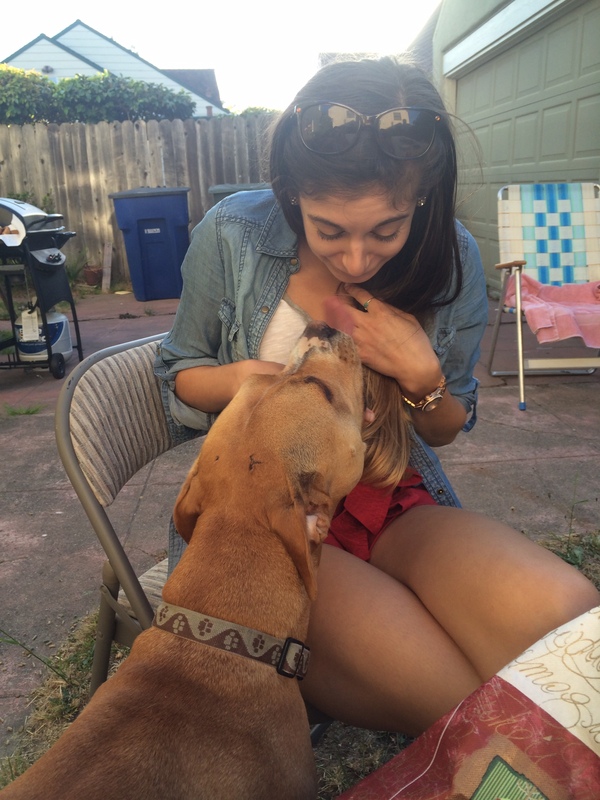 And, by going rogue, I mean I’m doing the exact same thing I do every Wednesday: Five Things! Yes! It wouldn’t be a normal Wednesday without it. Let’s hop to it! What’s a Watch Me Juggle post without an ode to doughnuts? 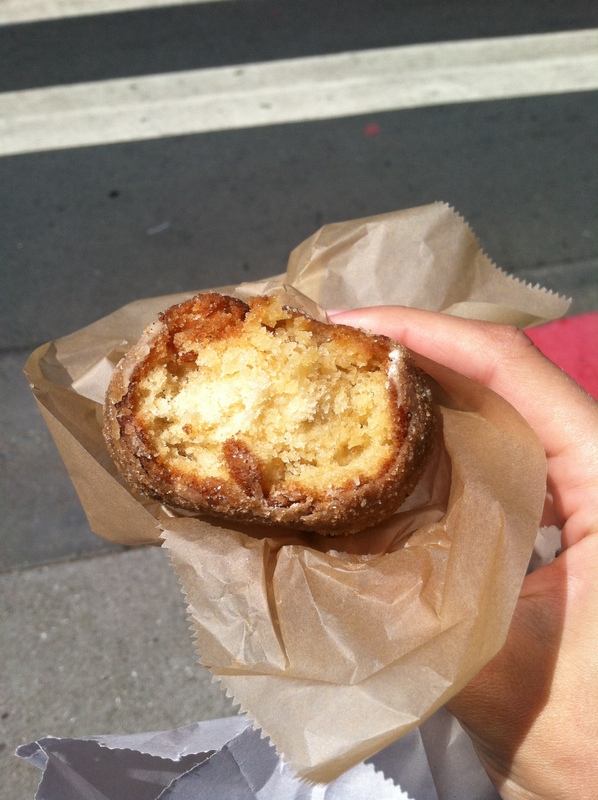 Lucky for me, my favorite little SF doughnut shop has a kiosk walking distance from P’s house. (Yes, I’m calling him “P,” I’m not quite that clever yet.) 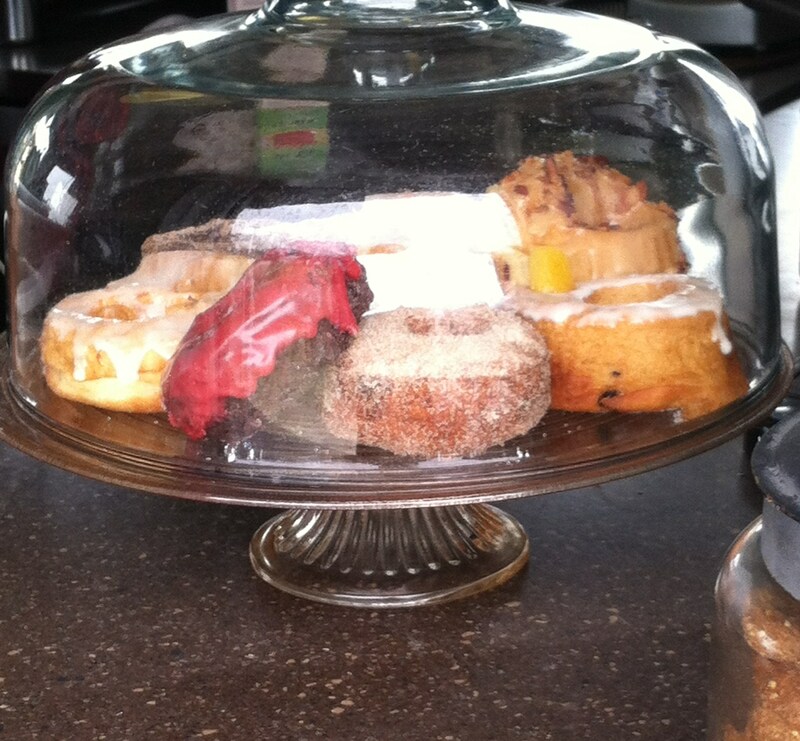 When you walk up, they have all their flavors on display in a pretty cake stand. On this day, I opted for something out of left field: a gluten-free doughnut. Now, before you accuse me of jumping on that bandwagon, it was the only chocolate-y one there, with raspberry glaze. So good! I discovered this gem hidden on my phone this week! 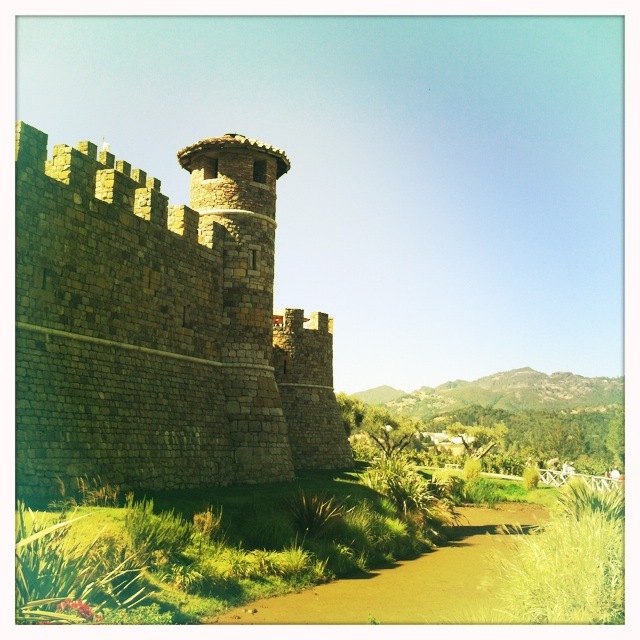 A little throwback to this summer’s St. Helena adventures at the Castello di Amorosa. In the beginning of the school year, I introduced the boss lady to the world of Instagram. We celebrated this last week’s World Ballet Day by watching the livestream of San Francisco Ballet’s rehearsals in the studio, while documenting it, of course. 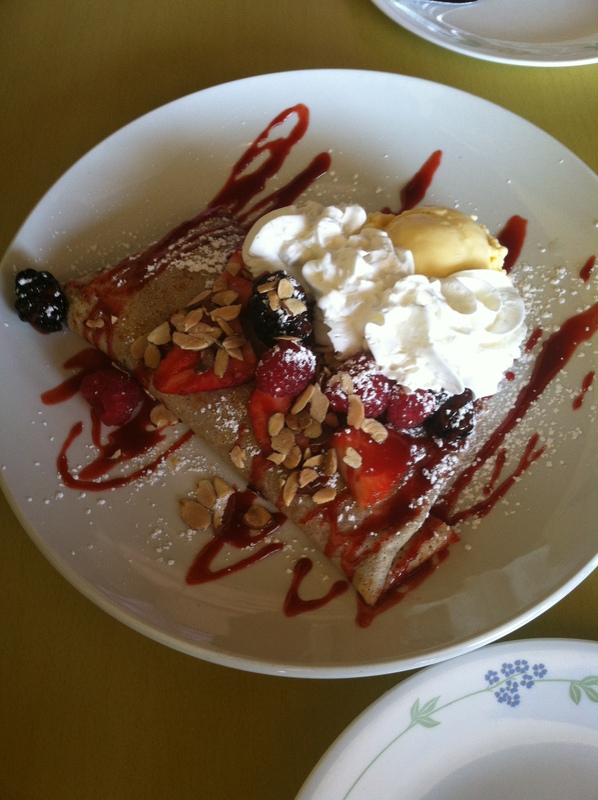 The lovely crepe dessert from a mother-daughter lunch last week out in Pleasanton. Filled with warm, crushed berries, it was one of the best desserts I’ve shared in a long time. I recently splurged on one of my favorite fall-scented candles. I know, it’s a silly little thing to consider a “splurge.” I must say, Bath & Body Works does their seasonal scented candles right! What I love about this particular scent is that it’s not horribly sickly or overwhelming, like some scents can be. Yes, that’s the only way I can describe the last few weeks. Don’t get me wrong- I spent my entire summer missing Dance Arts. But, jumping back into teaching when September rolls around feels very much like being asleep for three months and then rolling out of bed to run a 5k. Ouch. The students never cease to amaze me, and I have a wealth of quotes from them already. I’m certain there’s more coming in the very near future. It’s like herding little gerbils, bless them. Look at those straight lines! “I don’t need this. I don’t need this. I DON’T NEED THIS.”– child when handing me a dirty band-aid. Great, honey. I don’t need it either. “Ew, oh! Excuse me. I just burped.” Mid-sentence. Of course. “I’m so tired today, because I had second grade.” Life is tough, kid. What else can I say? “Wait! Your favorite thing isn’t lunch? !” Upon learning that the boss lady’s favorite thing is, in fact, dancing. “He has a brother. I think his name is Colon.” I’m sure it is. 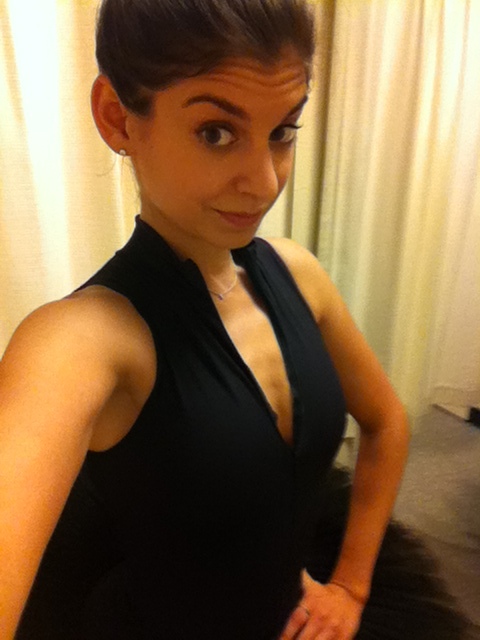 “Can I take my leotard off? I’m hot!” No, no you are not dancing naked. “No, those aren’t my shoes.” Her name was on them. Of course they were her shoes. Oh yeah, I remember you! Thank God we’re halfway through the week. I know, I know, it’s only Wednesday, but look on the bright side, at least it’s not Monday. My schedule has suddenly gone from 0 to 50 in the course of a few days. Remember way back in the day when I posted about studying for the CBEST? Well, I’ve finally been hired as a substitute for the local school district. Perhaps the most encouraging this is when, upon sharing the news with my students, that they all seem so excited to have their dance teacher making guest appearances in their school. It’s a bit of a change, but I’m just taking things day by day. It’s also ‘Five Things’ day, so let’s hop to it! First off, I bring you an unnecessary overload of cute for the day. Truthfully, it’s probably enough cute to last you the whole month. I CAN’T EVEN. I DIED…I AM DEAD. Let’s face it, if I was the owner of 4 pounds of wrinkles I could dress up in baby clothes and feed lettuce, I would never leave the house. You would find me in my pajamas, rolling on the ground with the thing, only leaving the house to buy it more food. And myself more coffee. Perhaps I’m not ready for pet ownership. 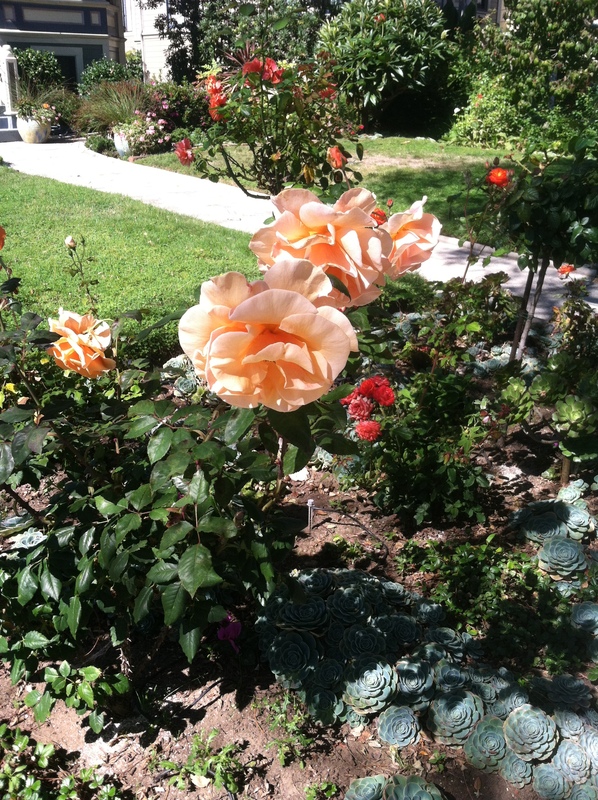 Lovely Alameda roses on an afternoon walk. A bit of a throwback to one of my last performances with my partner Ryan. Today is World Ballet Day! 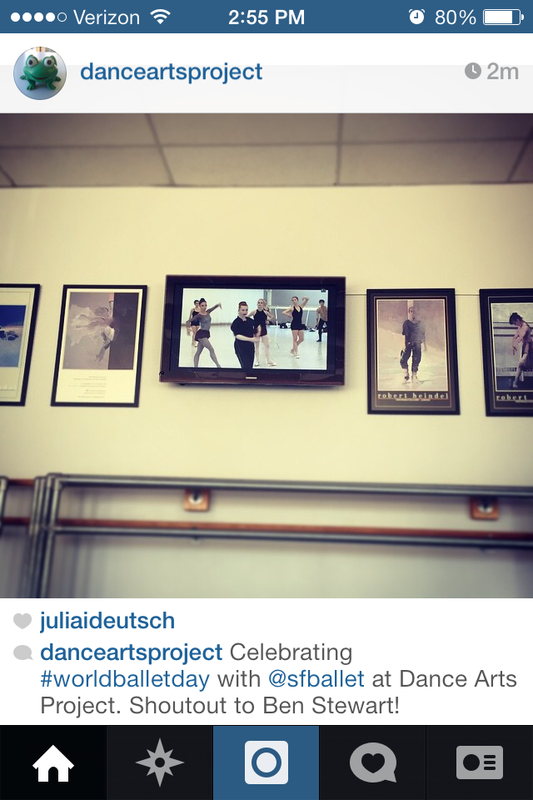 I got to watch some of San Francisco Ballet’s live-stream rehearsals. It was such a lovely experience, and a wonderful idea. I hope they do similar live streams in future. Because everyday is world ballet day for me. 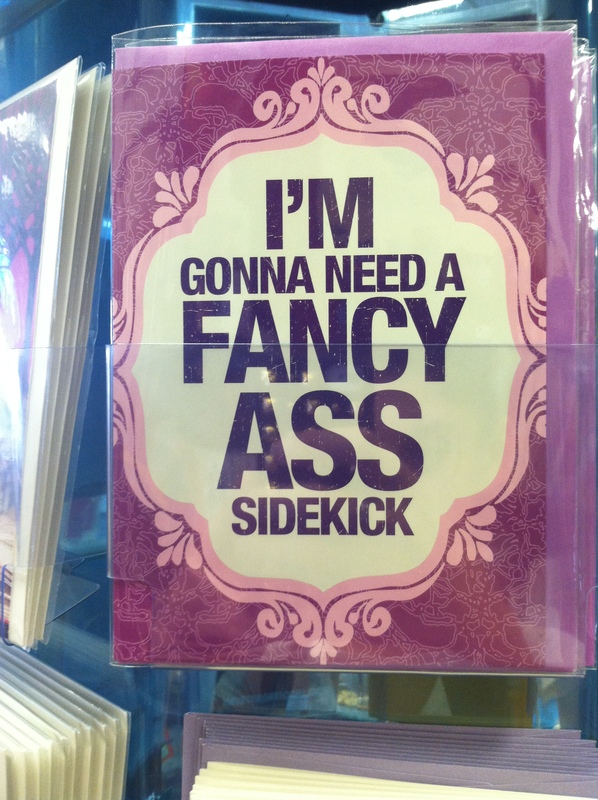 Perhaps one of the best cards ever. Just another reason to go to the bookstore! Being as inept with technology as I am, I couldn’t figure out how to pull this gem off of my photo stream in time to post it on last week’s Maddie the Dog cuteness. I do love this photo, though; mid-kiss, yet she did manage to get me on the nose. We all know that today is a day of reflection for many people, myself included. There’s every reason to be sad about what today commemorates. There’s no denying that there’s been a huge shift, and the world that we currently live in is not and has not been the world of thirteen years ago. If we dwell on this too much, it can be horribly upsetting, but then again, the only guaranteed thing in life is change. What I like to think about is the fact that this week marks another time that’s been significant in my life. This photo was taken six years ago- almost to the day. 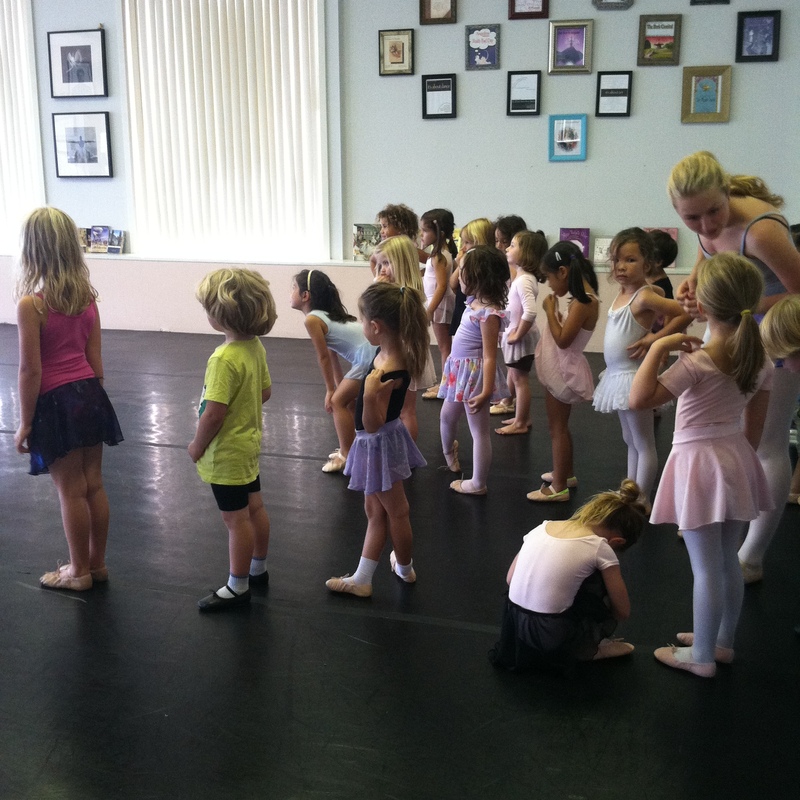 It’s a photo of the very first dance class that I taught. 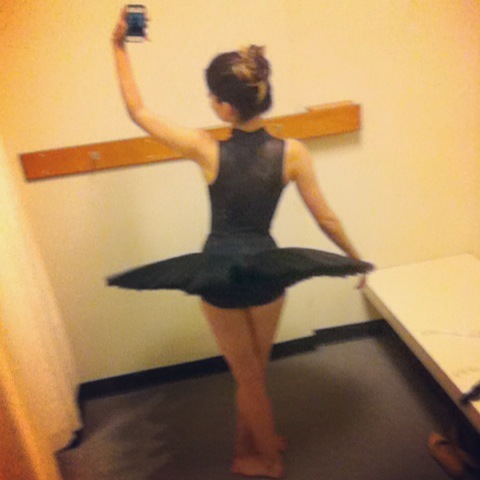 I still have the same leotard (I wore it today, in fact! ), and I still roll one pant leg up in that silly dancer style. 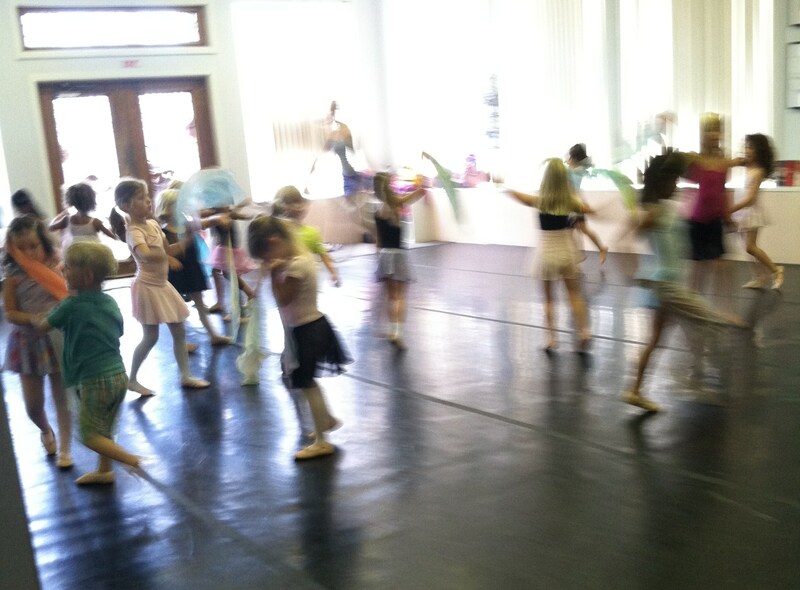 Like the very first dance class I ever took, this day stands out in my memory. I’ll also never forget being accepted into the BFA program in college, as our ballet teacher told us that we could call ourselves dancers now. While I vividly remember every production that I’ve ever done, these moments in my life stand out to me completely. I remember being cast in my favorite rolls, the many hours spent backstage, and the stab of relief mingled with melancholy as a show run draws to a close. When people ask me what I do, I feel the need to explain things away. I feel odd saying: “I’m a dancer.” But, it’s the truth. I’m not a teacher, turned dance-enthusiast. I was a dancer before everything else. I’ve found joy, and a solidarity in teaching. I didn’t decide to teach right off the bat, to be quite honest. I did the audition circuit, I took classes, and I ran around because I didn’t entirely know what to do. Sometimes I feel as if I get as much from my students as I’m giving them. The lack of judgement and the kindness they show me sometimes makes me wonder why the rest of life can’t be like it is in the studio. Growing up, you generally tend to cultivate a talent and passion for something. What they don’t teach you is that you can, logistically, make your passion your life, your way of making a living. It may not always come in the way you thought it would, but it’s possible. This has been dubbed the “most graceful selfie” ever. Playing dress up. In this way, I hope I’ll never grow up. 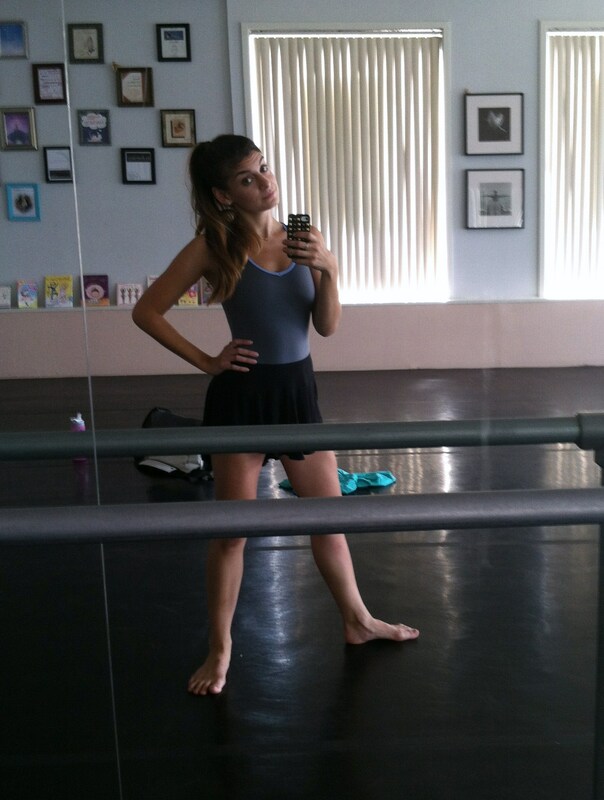 In a tutu. Because I can. Quick question: has everyone else noticed the sudden uptick of ballet in ads and pop culture as of late? I sure have. It seems that the idea that dancing is hard and/or sweat-inducing makes for great antiperspirant commercials. And, we can’t forget the infamous Free People spots gone horribly, horribly wrong. So, what happened? It seems that every few years or so, ballet is thrust into the spotlight. Back in the day, it was Center Stage and more recently Black Swan, with all its dance double controversy. Dance has always been a big part of pop culture, but ballet, which has such a small niche, tends to come and go. It’s often labeled with the stigma of elitist, out-dated, and boring. Now, I’ll be the first one to tell you that I’m not the biggest fan of sitting through a three hour production of Swan Lake. 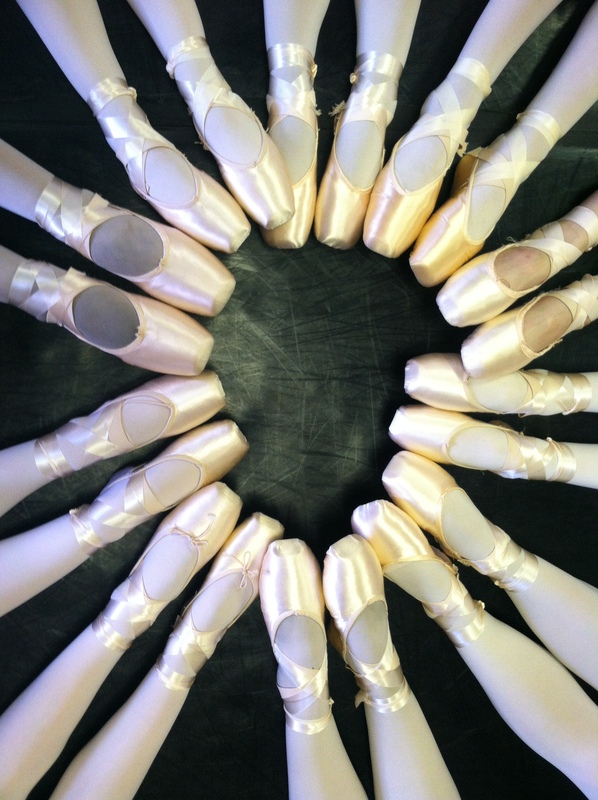 Here’s a hint: uber-classical ballet is really fun…when you or your friends are the ones doing it. Recently, ballet as an art form has given way to so many visually diverse, modern, and mind-blowing new works. It’s changed so much over the last few decades, even. It’s always nice to see something you’re passionate about in the limelight. In a world that’s always moving on to the next “big thing,” it’s conversely frustrating to see people absorb the thing that you’ve dedicated your life to, without context, and move on. Misty Copeland, as beautiful as she is, is a very much (and self-proclaimed, I might add) the unlikely ballerina. Ballet, like any athletic endeavor, has its politics- its traditions and its trends. That being said, it’s wonderful to witness ballet’s evolution, and its occasional emergence in pop culture. All I ask is that, after you get tired of watching Taylor Swift play ballerina and when Misty’s chiseled physique ceases to amaze you, you don’t forget about the ballet. Maybe go, have a glass of wine, and see one for yourself. We’re officially half-way through the week and still alive, so give yourself a great big pat on the back! This week, I’ve developed the rather unhealthy bedtime habit of changing into sweats, turning on the tv, and subsequently watching Youtube beauty videos on my phone until I completely lose consciousness. My life is clearly very glamorous. Remember the concept of “blackout” that I once wrote about? I think now might be a good time to instate it. I promise one day I will, but for now, enjoy this week’s Five Things- courtesy of a few blackout free nights. I enjoyed my beautiful birthday flowers so much this last week. 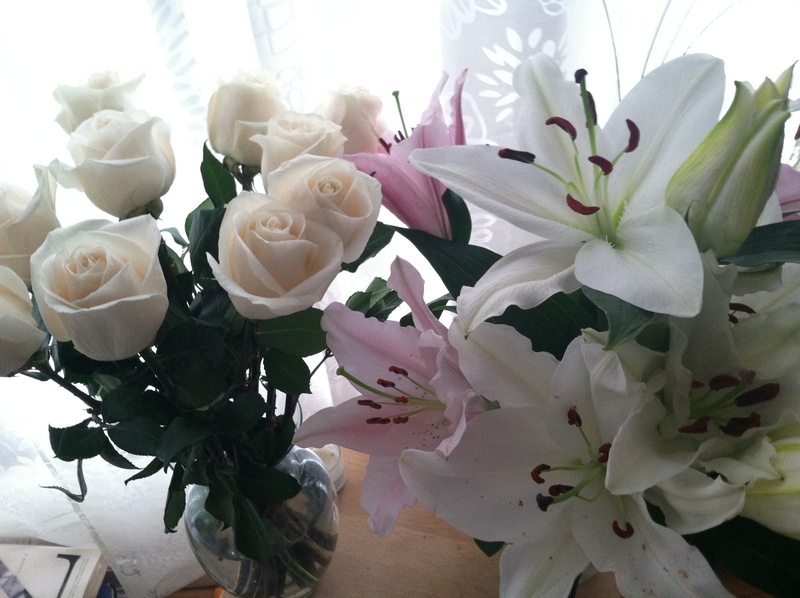 These Stargazer lilies from Trader Joe’s made my apartment smell so amazing. Better than any candle I could have burned. I’m rather a rare breed in that I’m a dancer who rejoices (maybe sometimes too frequently) in the occasional cheeseburger. Ok, make that a cheeseburger, fries, and a chocolate shake. 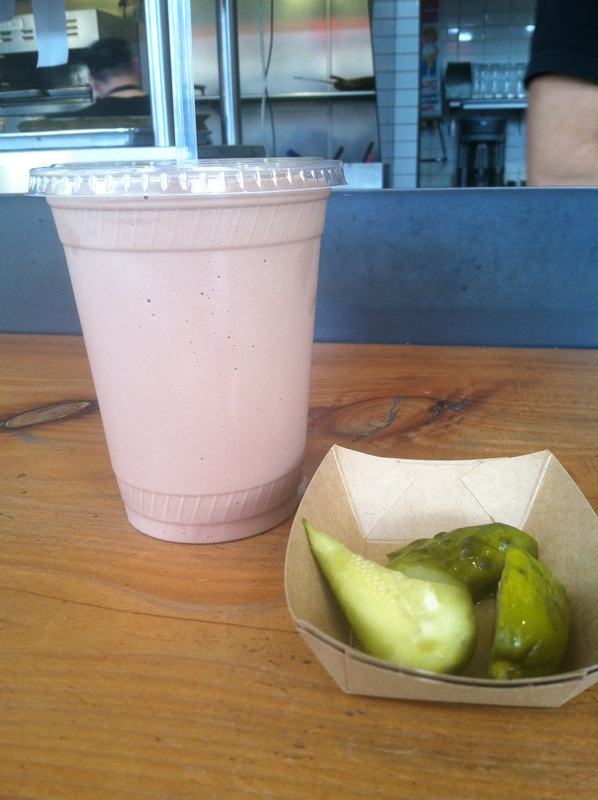 My absolute favorite as of late is Super Duper Burger in San Francisco. It’s comfort food at it’s finest, in my humble opinion. While it may not be the healthiest option, I do feel like I’m not eating anything overly processed or frighteningly manufactured. They’re house-made pickles are also some of the best I’ve ever had, and I often end up eating several of them as a makeshift appetizer while waiting for my meal. I came across this amazing clip of the famous Nederlands Dans Theater while perusing Youtube the other day. While I had the privilege of seeing them perform live a few years ago, I have to say that I find the most beauty in the studio work that dancers do. I love how this video is essentially a collage of that work, showcasing the intensity and evolution of the pieces we come to enjoy on stage. 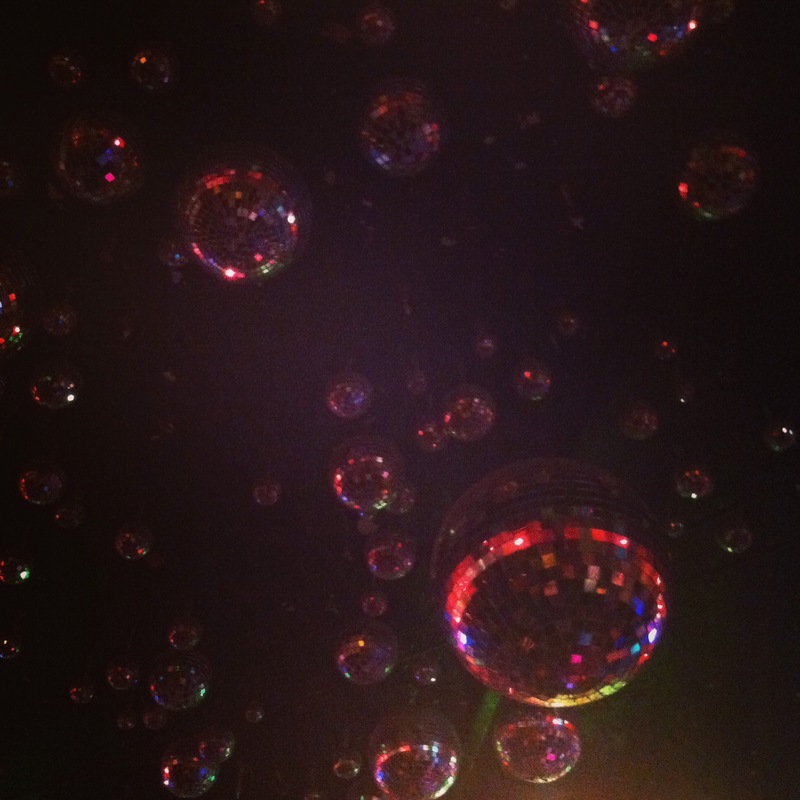 Along with a few birthday festivities came a Saturday night out on the town, complete with dancing of course. My favorite spot of the night had to be a relatively no frills bar in San Francisco, that is, of course, if you happened to miss the staggering amount of disco balls on the ceiling. How Y’all, Youse, and You Guys Talk. A good friend of mine introduced me to this fantastic dialect quiz courtesy of the New York Times. Quite a few of us took it at the most recent family dinner, and had some fun comparing our results. Essentially, it analyzes your everyday idioms and pronunciation to predict where you’re initially from in the United States. It’s incredibly accurate, for the most part. According to this quiz, I was either originally from Fremont, San Jose, or Corona, California. I guess it picked up on my stint of living in Southern California! Last week, my girlfriend Kate had her bachelorette party prior to whisking off to Prague for her nuptials. A few of her good friends graciously organized and hosted the party, which was beautifully done. 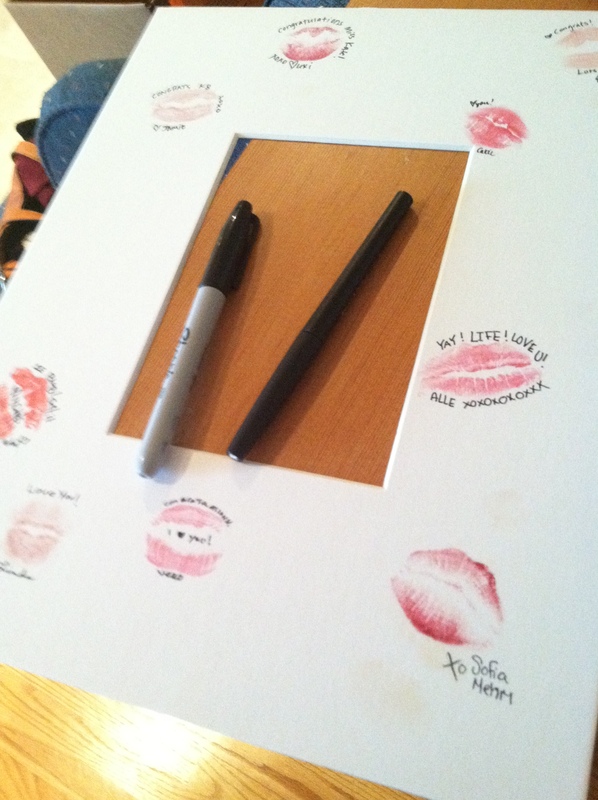 Playing with the idea of a guest book, the bride-to-be had her guests leave kiss marks along with their well wishes on a plain matting, which she later framed as a favor. It was a really unique idea- yours truly is in the upper right hand corner. I, the faux teenager that I am, only had lipgloss, but it worked just as well and didn’t smudge! 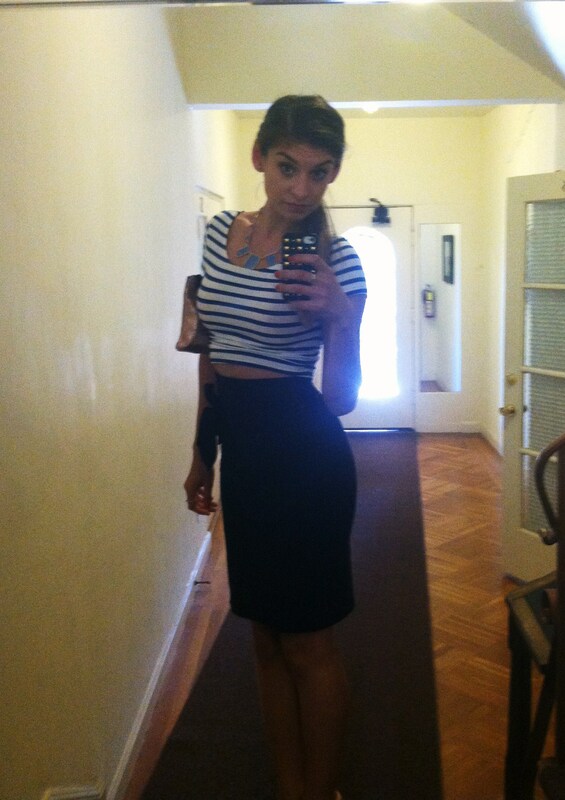 Ladies and gents: I give to you, my first Outfit of the Night photo! I know the lighting is horrible, and I’m in my shared apartment hallway, but whatever! My OOTN (in fashion blogger-speak) consists of a top from H&M, a black, convertible pencil dress worn as a skirt from American Apparel, the rose gold leather clutch is Marc Jacobs, and the leather station necklace from House of Harlow 1960. Not pictured are my fabulous Melissa by Vivienne Westwood pink shoes, that appeared on my very first “Five Things” feature ever. Those puppies finally got to leave the house, and I got compliments on them nonstop! They were incredibly comfortable, too! This is what I do at work, pretty much all day. 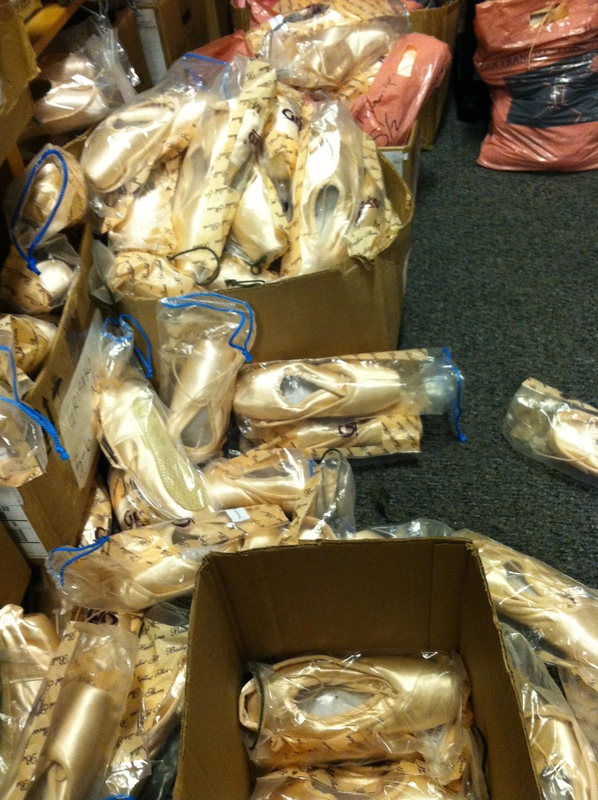 We’ve lovingly dubbed it “Pointe Shoe Alley,” and occasionally find coworkers stuck under piles of shoes there, like I was in this moment. Nothing out of the ordinary for me. As a dancer, I think this is such a cool idea for a video, and I love the way they’ve played with the timing, slowing movement down to show their intricacies. The dancers talk about how difficult these steps are to execute, but you would never guess, judging by how unruffled they are. And that Cheshire Cat lift?! Wow. It’s a mentally challenging as much as it is physically. Try staying calm while upside down, six feet in the air. It’s not easy. I’ve been enjoying my week’s vacation in the most passive manner possible. I’ve found it horribly refreshing to not necessarily make plans for my day, but to do whatever and go wherever the wind blows. Today’s accomplishments include giving myself an at-home chemical peel (Yikes! ), making a healthy lunch, and watching Shutter Island on AMC for the fifth time this week. Yes, I know this is bizarre smorgasbord of activities. On the more normal side of things, I’m currently prepping some cherries for a lovely clafoutis I’m making this afternoon. I have fond memories of this cake from when I first made it during an unusually cloudy summer day in college. 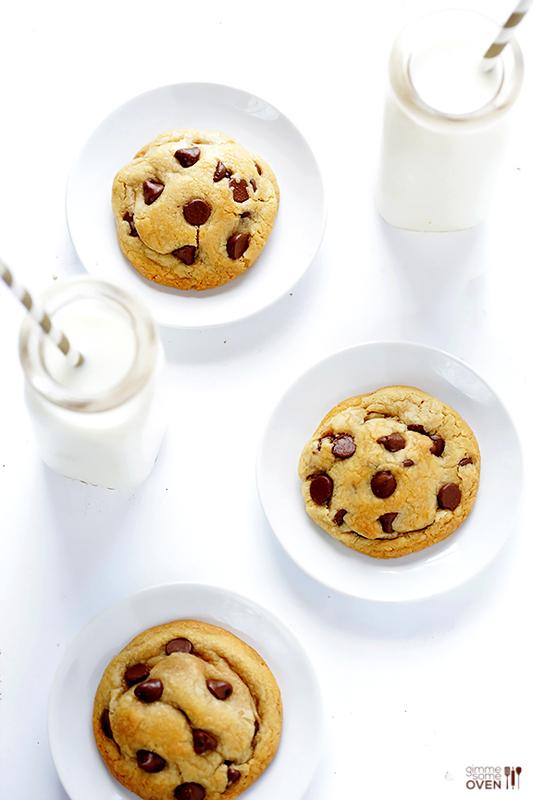 When in doubt, take on a baking project! Not only does it make you feel just a little accomplished, but you’ll have something very delicious to eat! 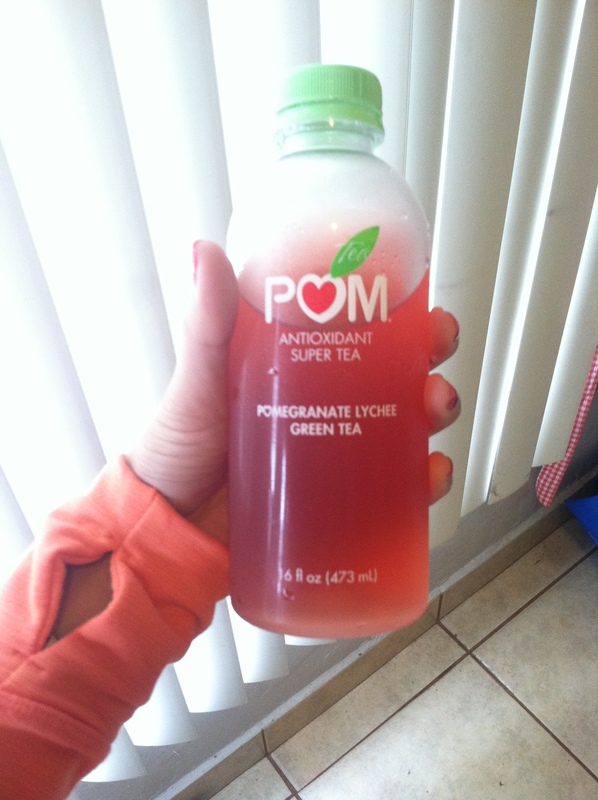 Whenever I need a little pick-me-up, I love this pomegranate green tea by POM. It’s tart, refreshing, and sweet (with no added sugar!). Extra points to me for all the summer-y colors in this photo. 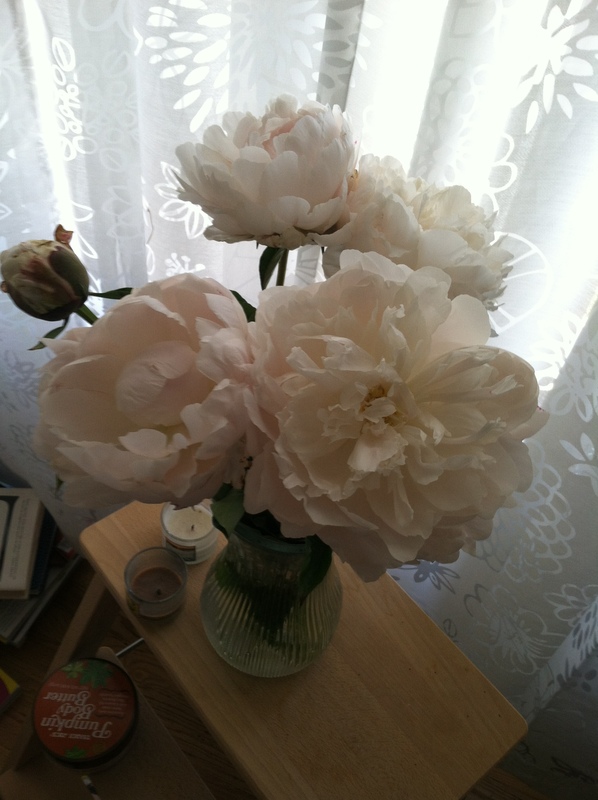 I brought a bouquet of my very favorites home with me the other day. They’re still hanging in there, but one stem is determined to forever be a bud. A quick glimpse of the organized quiet before the storm. 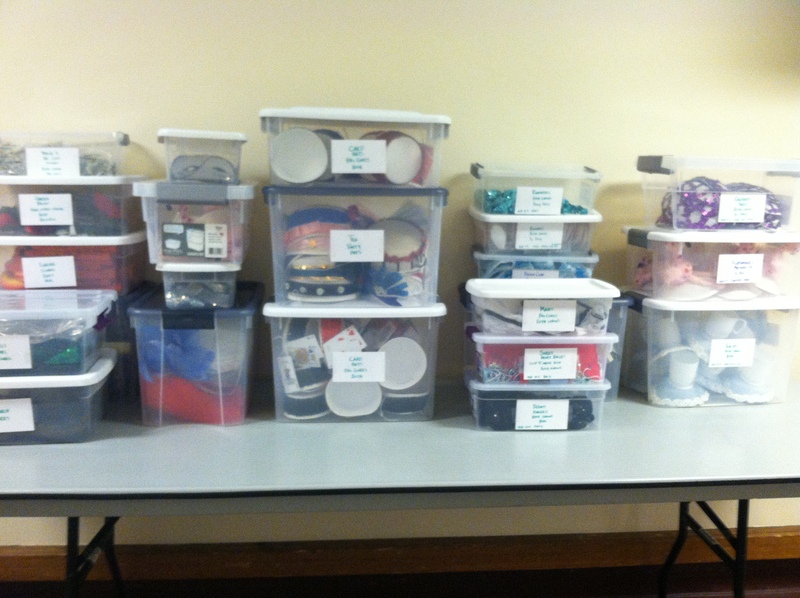 We had a record number of accessories for this year’s show. They all turned out so beautifully, we can almost forget the burns we sustained accidentally hot gluing sequins to our fingers. Here’s a hint: yours truly is not inherently crafty. My second favorite view in the world- the first being this exact view, except with the rows packed full of people. 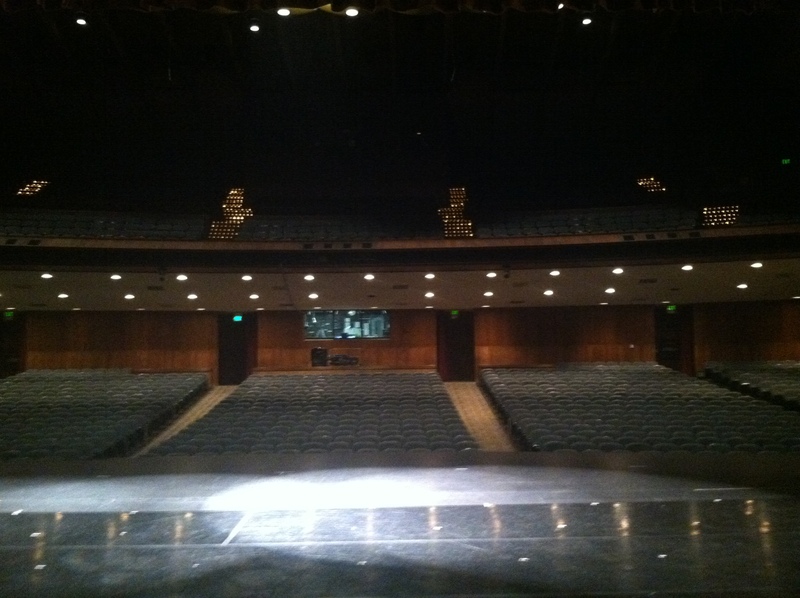 There’s nothing quite like walking out on a stage in a beautiful theater.